I've seen 2 movies with him (Passengers, and some crap Scyfy channel movie), and in both instances, he was paired with the same type of woman. Any ideas about type? Are you kidding? He is ESE. Every Female LII that I know loves him. Last edited by Delilah; 04-15-2018 at 05:48 AM. Are you kidding? He is ESE. My initial guess as well. Have you seen the chemistry between Pratt and Green Girl in Guardians of the Galaxy II? And having lived most of my life with my LII sister, I’d like to say that Green Girl is a pretty accurate depiction of a female LII. I like him a lot, esp. in the TV sitcom Parks and Recreation. I think he tends to get typecast a lot, like this goofy bear of sorts. I'll revisit this thread if something occurs to me type-wise. I think he is a Te ego, at least. From a facial VI perspective his eyes suggest ILE type and his mouth suggests ESE type so likely an alpha extrovert. Lesser similarities visually with LSE and SLE type though they are there. I think I would rule out ILE as a type from body language etc so ESE becomes more likely. I’ve only ever seen him in a couple of movies so don’t have much of a view to his main functions in use though he does seem to display Fe upon first entering Ellen’s stage in the above video. He happens to be a favourite actor of my ILE son. Have you seen the chemistry between Pratt and Green Girl in Guardians of the Galaxy II? Anyway, Zoe Saldana - ILI, so the sympathy is possible. Really? I can't see Gamorra as -PoLR. I type her as LSI. How is Zoe Saldana -PoLR? Have you ever seen interviews with her? 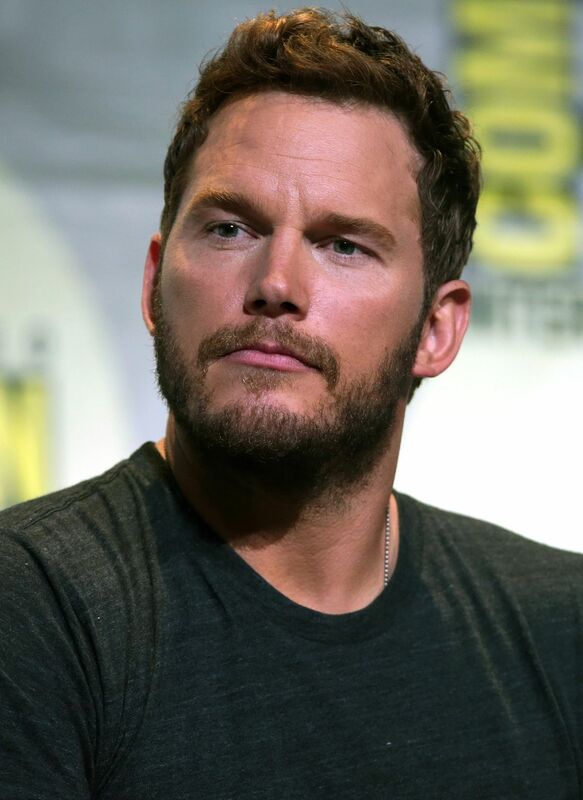 I can see ESE for Chris Pratt. I always watch videointerviews when they exist. To understand "how" my types examples may to help. I've met someone like him recently, guessed LII at first then changed it to ESE. It's his NPA type that stands out most conspicuously in that interview. Yeah, i was getting the same impression even though i'd not thought of his type before. I'll post it here if i come across something interesting that might point at his type.